Replacing your roof requires a significant investment, which is why it’s important to make sure you’re working with the right roofing contractors in CT. By hiring trustworthy roofers, you will be closer to ensuring a successful roofing job. Doing so will also save you from additional costs. The legitimacy of a roofing company depends on their license and insurance. This is also an essential requirement in certifying under a manufacturer. As we are a GAF® Master Elite™ contractor, you have the assurance that you’re working with a licensed and insured roofer. You can also be at ease knowing that you’ll not be liable for any accident that might take place in your home while our crew works in the area. Companies certified by leading manufacturers offer more benefits to homeowners compared with those without certification. Apart from being a GAF-certified roofer, we are also partners with other industry leaders, such as CertainTeed® and VELUX®. This allows us to provide you with an extensive selection of top-quality products and services. For instance, being a GAF Master Elite roofer lets us provide you with the brand’s popular Timberline® shingles, which offer strong resistance from severe weather conditions and strong winds. Meanwhile, our asphalt shingle roofing in Greenwich, CT, from CertainTeed can mimic the depth of multi-layered architectural shingles. A roofer who’s been in the industry for years has the experience to ensure a successful roofing job. Furthermore, they have a reputation to uphold, making them a safer choice than a roofer who’s new to the industry. We have been providing great service in the local area for years, which means you can count on us to handle your roofing concerns. You can expect a swift and efficient roofing job from our crew members. In fact, we are a proud recipient of various awards, such as the GAF Installation Excellence Award 2010, Angie’s List Super Service Award 2015, and even an A rating from the Better Business Bureau. Warranties will protect you from defective products and flawed roofing jobs. Part of the privilege of being a manufacturer-certified roofer is being able to provide roofing in Danbury, CT, that comes with strong warranties. You have the assurance that these warranties will cover defective materials and poor workmanship for years to come. 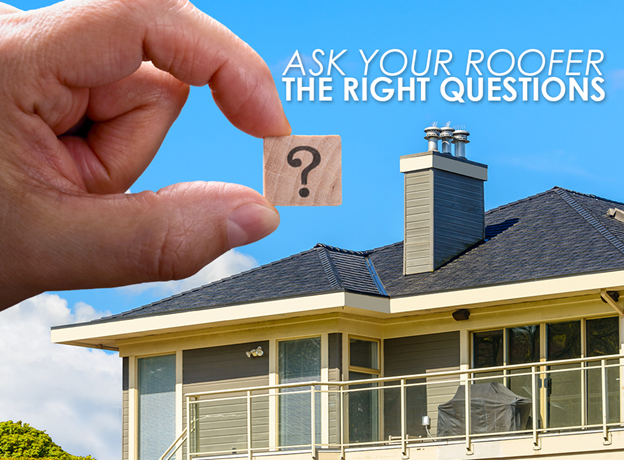 Asking these questions will help you find the right roofing company. Fortunaely, Vinylume ensures great service to complement our top roofing options. Call us today at (866) 244-8029 for more information about our services.